The feeling of enjoyment experienced when driving a sports car on the expressway or an open road is hard to match. 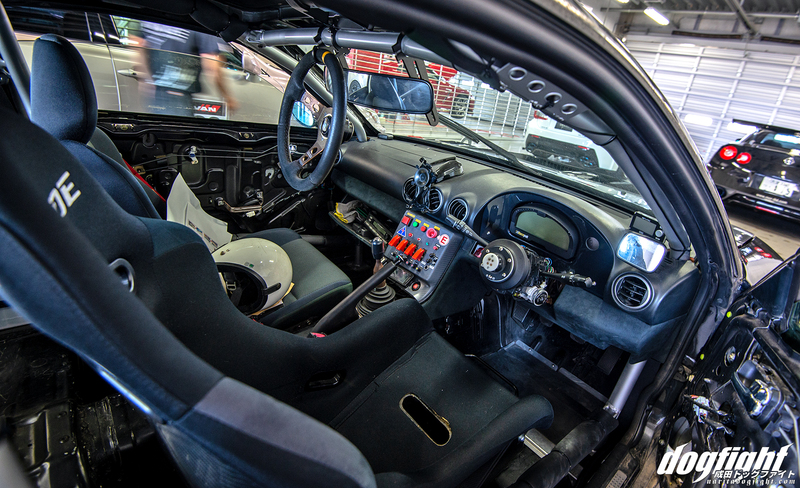 Confining yourself to only getting that excitement during track days seems unnecessary considering the ease of building a lightly modified street car. 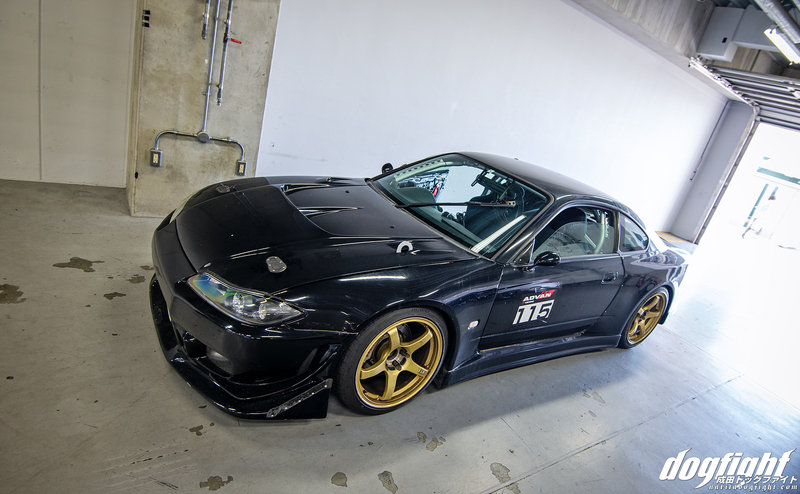 This S15 was in the middle class run group and looked like the driver was having a lot of fun on track. I only shot the Group A run group track-side, so I enjoyed the other run groups from out the window of the air conditioned restaurant in the paddock. The C-West kit is still among my favorite for basically any chassis; I just really like their products. On the Silvia, it fits the bill for a widened body that isn’t too aggressive for a daily driven car. No other aero is attached, and that includes the trunk. No wing, no diffusers, etc. The vented hood with aerocatch, and tow hook on the shock tower are among the more assertive modifications, alluding to the time the car spends on track. An aftermarket front mount intercooler takes up the entirety of the front bumper opening, and an oil cooler resides on the drivers side front. The single wiper conversion and aftermarket side mirrors add a unique touch. Gold, 18″ Advan TCII wheels sit at each corner and add a contrasted, period correct look to the car that rounds out it’s overall appearance. The interior is what really struck with me a good balance of street and track (albeit leaning a bit more towards track). While this may be a bit overboard for most people, I think it’s pretty cool. 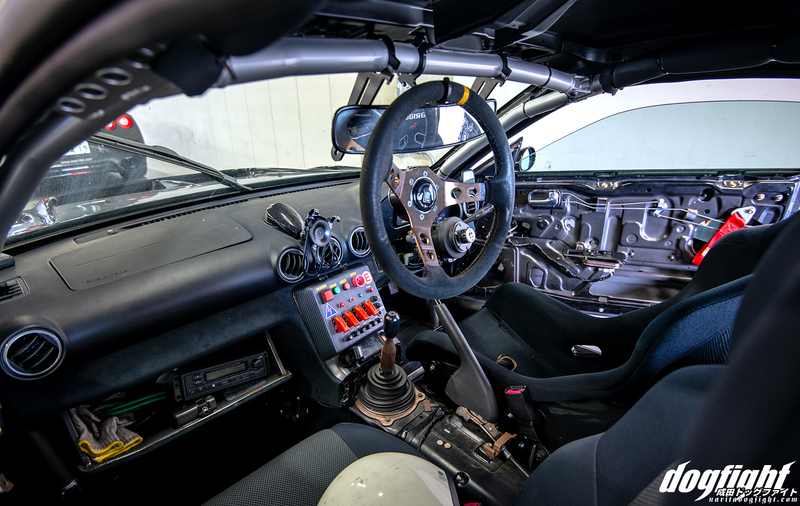 A full, gussted roll cage has been worked into the interior, and goes through the dash (as it should). The OEM center console has been swapped for a custom switch panel, that seems to have been built very comprehensivley with breakers. The owner still managed to keep the climate controls by relocating the entire unit into the glove box. Air conditioning is a must! The car looks like a blast to drive literally anywhere; at Fuji Speedway or to the grocery store. 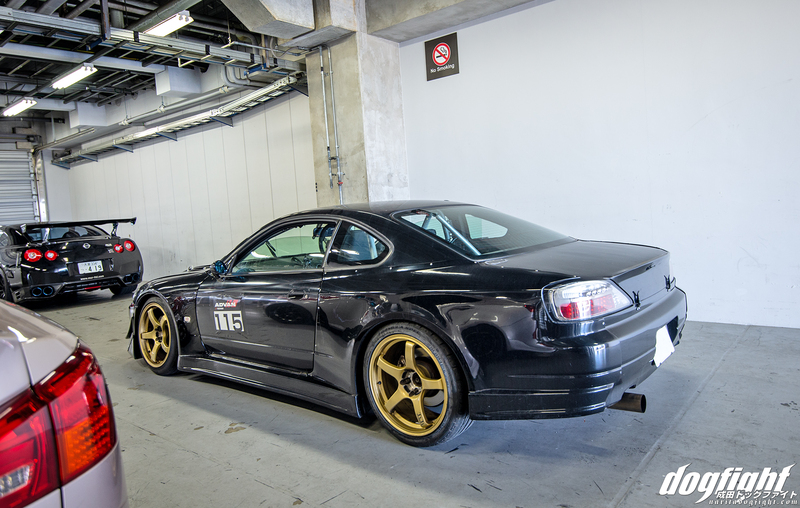 I’m normally not one for wingless S15s, but something about this just works so well. Also, very impressed by that switch panel; it looks like a very nicely designed/made piece.